The Hands|On glove looks like it’s a PowerGlove replacement, but it’s a lot more and a lot better. (Which is not to say that the Power Glove wasn’t cool. It was bad.) And it has to be — the task that it’s tackling isn’t playing stripped-down video games, but instead reading out loud the user’s sign-language gestures so that people who don’t understand sign can understand those who do. The glove needs a lot of sensor data to accurately interpret the user’s gestures, and the Hands|On doesn’t disappoint. 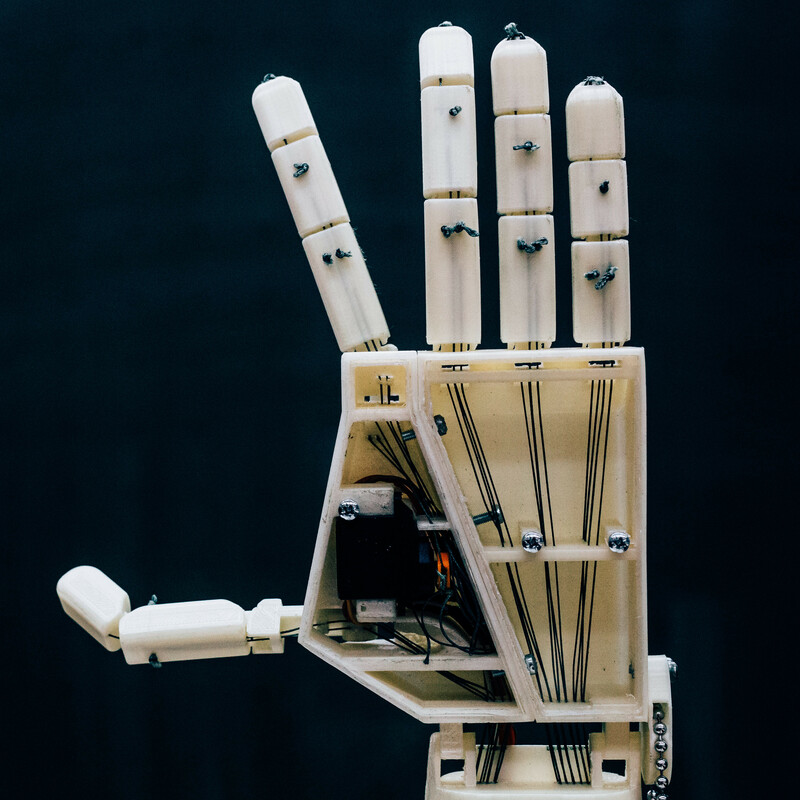 Multiple flex sensors are attached to each finger, so that the glove can tell which joints are bent. Some fingers have capacitive touch pads on them so that the glove can know when two fingers are touching each other, which is important in the US sign alphabet. Finally, the glove has a nine degree-of-freedom inertial measurement unit (IMU) so that it can keep track of pitch, yaw, and roll as well as the hand’s orientation. In short, the glove takes in a lot of data. This data is cleaned up and analyzed in a Teensy 3.2 board, and sent off over Bluetooth to its final destination. There’s a lot of work done (and some still to be done) on the software side as well. Have a read through the project’s report (PDF) if you’re interested in support vector machines for sign classification. Sign language is most deaf folks’ native language, and it’s a shame that the hearing community can’t understand it directly. Breaking down that barrier is a great idea, and it makes a great entry in the Hackaday Prize! [Craig Turner] shows that simplicity can be surprisingly interesting. He connected up different colors of blinking LEDs in a grid. There’s no controller, but the startup voltage differences between colors make for some neat patterns with zero effort. While we’re on the topic of 3D printing, here’s a design to straighten out your filament. It takes four really big propellers to get an ostrich off the ground. This quadcopter’s a bit too feathery for us, but we still couldn’t stop laughing. This Kinect sign language translator looks pretty amazing. It puts the Kinect on a motorized gimbal so that it can better follow the signer. We just had a bit of trouble with translation since the sound and text are both in Hebrew. This probably should have been a standalone feature otherwise. This wire covered glove is capable of turning your hand gestures to speech, and it does so wirelessly. The wide range of sensors include nine flex sensors, four contact sensors, and an accelerometer. The flex sensors do most of the work, monitoring the alignment of the wearer’s finger joints. The contact sensors augment the flex sensor data, helping to differentiate between letters that have similar finger positions. The accelerometer is responsible for decoding movements that go along with the hand positions. They combine to detect all of the letters in the American Sign Language alphabet. An ATmega644 monitors all of the sensors, and pushes data out through a wireless transmitter. MATLAB is responsible for collecting the data which is coming in over the wireless link. It saves it for later analysis using a Java program. Once the motions have been decoded into letters, they are assembled into sentences and fed into a text-to-speech program. You’ve probably already guess that there’s a demo video after the break.